Now playing first base, #12, Alfonso Soriano? The Yankees have plenty of outfielders heading into this season, but one thing they don’t have on this roster is backup infielders. Alfonso Soriano, who is penciled in as the team DH, could help fill one of those voids as the backup first baseman. “We have kicked it around a little bit,” manager Joe Girardi said. Soriano, who came up a second baseman with the Yankees, have been an outfielder for the majority of his career. 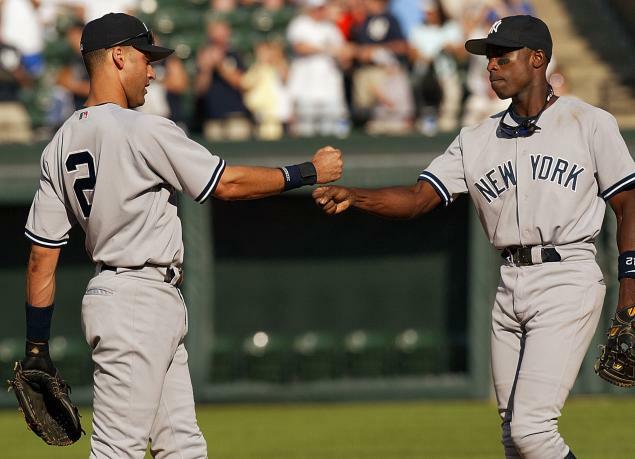 With the additions of Carlos Beltran and Jacoby Ellsbury this off-season, Soriano was left as the odd man out. However, Soriano still possesses a valuable right-handed bat for this team and Girardi has to find ways to keep him in the lineup. The Yankees have an aging roster, meaning the DH spot will have to be shifted around throughout the season. While I expect Soriano to see the majority of his time there, he will still see the occasional action in the outfield to give guys a day off. Mark Teixeira will be the everyday first baseman, but will still need to be rested, coming off a season in which he only played 15 games due to injury. Kelly Johnson was originally thought to the backup corner infielder/bat off the bench, but with the suspension of Alex Rodriguez, he has found himself as the Yankees starting third baseman. This could open up a spot for Alfonso Soriano to slide in and spell Tex sparingly on his off days. Soriano has been reluctant to the idea of an everyday DH, as he prefers to play both sides of the game. If he really means that, he will have to prove his is capable to Girardi this spring and put the work in to return to his infield roots. Soriano has never been known for his glove, but first base is a position you can give up some defense in order for offensive production. While he would never match the gold glove abilities of Teixeira, it’s an interesting thought in an effort to maximize the versatility of this roster.